Every summer, the transfer window rolls around and pundits discuss the areas of the Arsenal team in dire need of improvement. Every year, the defensive midfield positions are identified as a key area of weakness within the Gunners’ squad. And, every time, Arsene Wenger has failed to address this issue. Now that Unai Emery has taken over in the hot seat, will this close season be a different story? 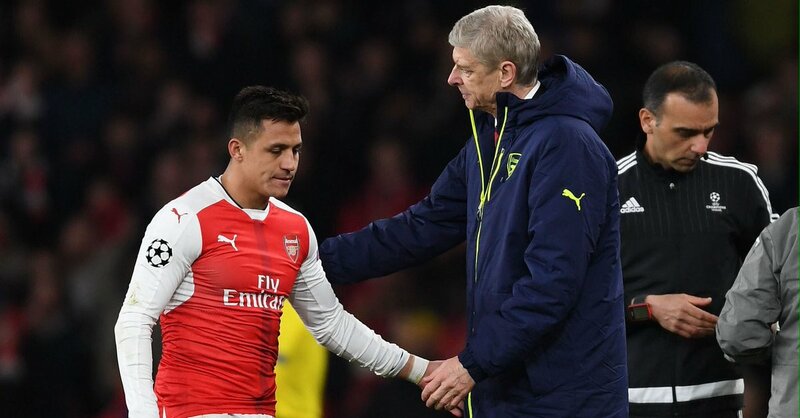 Arsenal are in need of big changes, and this gaping hole needs plugging immediately. Unfortunately for the new boss at the Emirates, he will be expected to make the best of the summer transfer market with a limited budget of around £50 million according to The Telegraph. In the current climate, this is the kind of money that Premier League contenders are spending on singular players. Rebuilding a squad that is riddled with problems on this allowance will be nigh on impossible. With that in mind, Emery needs to play the market cleverly and look to bring in some bargains. 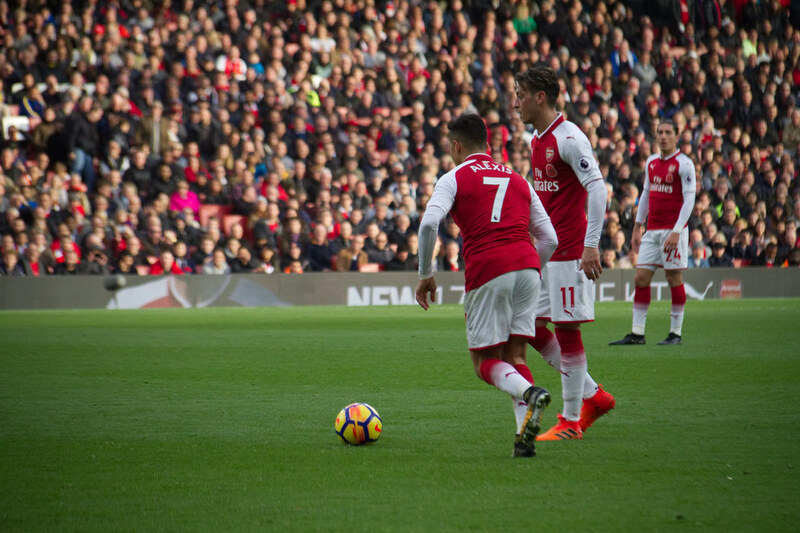 It seems like the dust has only just settled on the ‘will they, won’t they’ speculation regarding Alexis Sanchez and Mesut Ozil leaving Arsenal in the summer. Yet, here were are less than two months before the January transfer window opens, and Arsenal fans are getting ready to jump back on the emotional rollercoaster ride. It’s not just the future of Arsenal’s two best players that will be on the agenda in January; there are still questions at large regarding squad improvement. With Arsenal constantly one poor result away from a crisis, Wenger will have his work cut out for him early next year. Can he successfully navigate the January window and give Arsenal the best chance of finishing in the top four? Even whilst Chelsea manager Antonio Conte tells press conferences that he remains confident with the situation at hand despite the season opener loss to Burnley in the Premier League, and the Italian says he is not worried about the lack of more signings this summer, Chelsea are doing everything in their power to land Arsenal starlet Alex Oxlade-Chamberlain. The defending champions have spent around £130 million to get four players so far this summer, but more players from the title-winning squad have left, and the 3-2 shock loss at Stamford Bridge increased the pressure for the manager to add players. 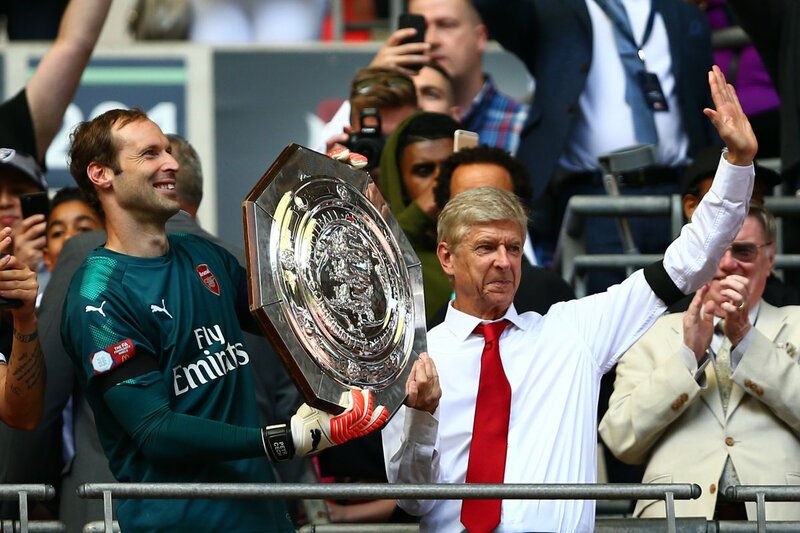 Despite Arsenal having some great success in the transfer window so far, it has lacked the impetus expected from Arsene Wenger in what could be his last couple of seasons at the Emirates. They signed Sead Kolasinac for free to shore-up the defence and left-back position and spent a club-record fee to bring in Alexandre Lacazette to finally give Arsenal a true striker. Now, reports from Italy claim that the Gunners are in pursuit of one of Juventus’ prized centre-backs, Daniele Rugani. With Arsenal’s last two games showing Arsene Wenger utilising the three-at-the-back formation to great effect, defeating Chelsea in both of their last competitive matches to win two trophies, they could do with a centre-back who is more experienced in the role. Daniele Rugani has been in the Juventus system since February 2015, and the club has been moulding him into their next centre-back star. Having been blooded into the first team over the last couple of seasons, the Italian champions have effectively put their trust in Rugani for the upcoming campaign. This comes after the huge-spending AC Milan managed to claw top centre-back Leonardo Bonucci away from Juventus and the champions decided not to sign a replacement following the transfer. They did get Medhi Benatia from Bayern Munich during the Kingsley Coman negotiations, but since Bonucci left, Juve haven’t signed and kept another centre-back. This puts the 6’3’’ 23-year-old in a prime position to get a lot more game time, and that appears to be the way in which Juventus are going with him. So, losing him this late in the transfer window could be catastrophic to the team. Due to a fantastic summer of signings, AC Milan have closed in to 13/2 in the Serie A betting. Juventus are still clear favourites, but given the immense talent fluxed into AC Milan, perhaps the odds should reflect a closer race as the challengers certainly have the tools to have a good run at the title. It’s hard to ignore both Juventus’ six-season winning streak of Serie A and the immense team that AC Milan have built, so this could make for the most competitive campaign for years, which Juventus will not want to be pulled into. Keeping their future star Daniele Rugani is a must if they wish to remain dominant, so they’re very unlikely to let him go. The fact that Arsenal are being linked to centre-backs, especially someone as talented and tactically-sound as Rugani, is a great sign and will hopefully bear fruit before the end of the transfer window. Unfortunately, however, it seems extremely unlikely that the Italian giants would let Ruagni leave – they simply need him too much this season. Much of the other transfer talk surrounds attacking players such as Thomas Lemar, Lucas Moura, and Ousmane Dembele, most likely because of the Alexis Sanchez situation. But, if Arsene Wenger wants to continue down the three-at-the-back route, he will want to sign a central defender experienced with the tactical structure of the formation, instead of relying on full-backs to get the job done over the long season. If the Gunners do end up getting Daniele Rugani, it would be a fantastic signing, but it looks rather unlikely at this point. It looks like we’ll have a comletely transformed strike-force next season, with the press going wild with speculation and rumours! Arsenal are reportedly close to completing the signature of Alexandre Lacazette from Olympique Lyon this summer. The 26-year old was a prime candidate to join Atletico Madrid but after the La Liga outfit lost their transfer ban appeal, things changed. Reports in England and France say the Gunners could complete the deal for Lacazette in the next 48 hours. Le Progress claims the French club president Jean-Michel Aulas has approved of the deal and it could be completed soon. Another rumour of players joining the club (this time by Calciomercato) is that the Gunners are close to announcing the deal for Leicester City winger Riyad Mahrez. The 26-year old Algerian had an underwhelming season at the club last year and seems intent on exiting the Kings Power Stadium this summer. The Gunners wanted him last year but he opted to remain with the Foxes after their fairy tale season. As we approach the official start of the summer transfer window, all the talk at Arsenal seems to be concerning players who may leave the club. Both Olivier Giroud and Alex Oxlade-Chamberlain have been linked with the exit door in recent days and it’s certainly true that Arsene needs to trim some of the deadwood at the Emirates as the 2017/18 campaign starts to appear over the horizon. More importantly, the squad needs some fresh faces and that was clearly evident throughout a disappointing league season so who is in the frame at this stage? There are a number of clubs from around the world that feel the need to make a huge splash when the transfer window comes along as they have to add world class and renowned players into their respective squads in order to satisfy the desire of their own fans as well as other reasons. Arsenal is not a club that is known to be a big spender, at least in comparison to some of their rivals such as: Manchester City, Manchester United, Chelsea and Liverpool. However, there really is no need to splash out huge amounts of cash in order to improve a squad and Arsene Wenger is a prime example of this. Arsene Wenger has acted quickly and made his first few signings in the January transfer window and the standout buy so far being Egyptian midfielder Mohamed Elneny who has arrived from Basel. With a number of injuries in midfield Wenger will be hoping that Elneny will quickly adapt to the English Premier League and bring his box to box play to the fore. The Egyptian can also act as a holding midfielder so Arsenal fans will be hoping that he turns into the Patrick Vieira-type player that Arsenal’s midfield has been crying out for since the Frenchman left the club over 10 years ago. Arsenal are thought to be one of the clubs to have made an offer for the Ecuadorian winger Jefferson Montero, who impressed at the World Cup 2014. Even though Ecuador were knocked out of the World Cup at the group stages, they came close to qualifying for the last 16 stage. It was only because of the 0-0 draw with France that they failed to achieve this aim. Ecuador were one of the poorest teams from Latin America a decade ago, but this current generation of players have transformed them into one of the strongest. A high-profile player with the Ecuadorian ranks is Manchester United winger Antonio Valencia. It looks as if Montero will join the list after the likes of Arsenal and Tottenham have reportedly made an offer for him. He confirmed after the 0-0 draw with France that he will certainly leave the Mexican league in this transfer window. After having played with Villarreal in Europe, Montero came back to Mexican football in the last two years. Now, he reckons that it is time to head back to Europe and play for the big clubs. Even though he admitted that he is likely to seal the transfer the next few weeks, the destination still remains a mystery. Montero refused to reveal the identity of the club close to signing him. “It’s certain that I’ll leave the league, but let’s see where I’ll go. We expect to sort it out within the next few days. I already have an offer, the club are handling it. Let’s see where I’ll go but for now I have some days off. I can tell you that it won’t be Mexico. It will be Europe and thank God we are working on it, I hope it works out,” said the striker about joining the Premier League.